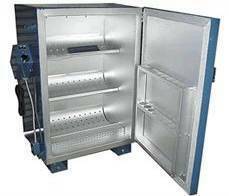 Nitrogen is the standard medium for contamination-free storage because it is relatively inert - it neither reacts with stored materials nor carries moisture - and because it can be isolated and purified relatively inexpensively. 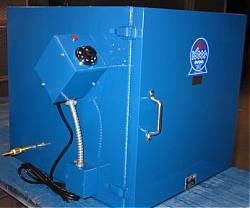 Because nitrogen has a lower-specific gravity than air, when introduced into the oven it immediately purges air that may contain contaminants or moisture. 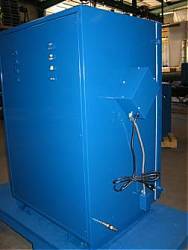 Keen nitrogen purge welding ovens are often used for highly sensitive applications in the nuclear marine and aerospace industries. 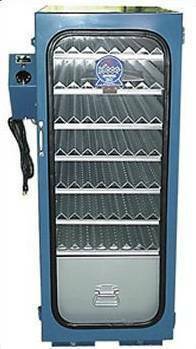 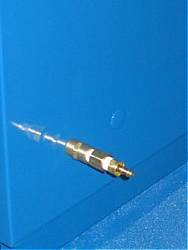 Keen offers an array of oven models equipped with a gas inlet valve to enable the flow of nitrogen gas into the cabinet. 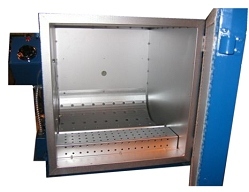 Some of the models are standard welding ovens we offer and others are completely custom. 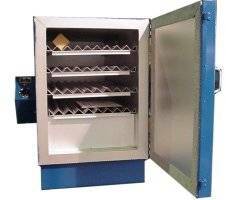 If none of the ovens below suit your needs, we can design one that does. 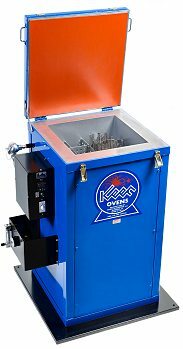 Please contact us at sales@keenovens.com or call (888)512-2870.